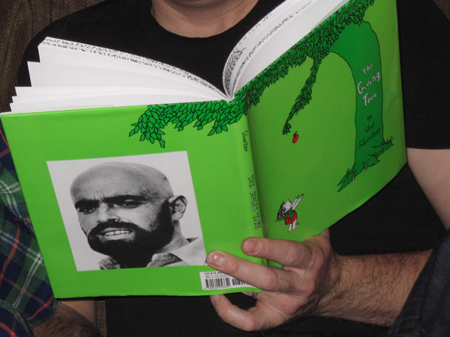 The Giving Tree is Shel Silverstein’s 1964 classic children’s book which has been translated into over 30 languages. In it, a tree is so in love with a little boy that it ultimately sacrifices everything for him. To this day, it is perceived as either a tale of selflessness and undying love (the tree), or one of selfishness (the boy). The book is encased in a green dust jacket that features a large, terrifying photograph of the author on the back. Is the terrifying photograph of the author a mugshot taken of the author after he was accused of murder or something? No. This is presumably the 1960s publicity shot of the author, Shel Silverstein. 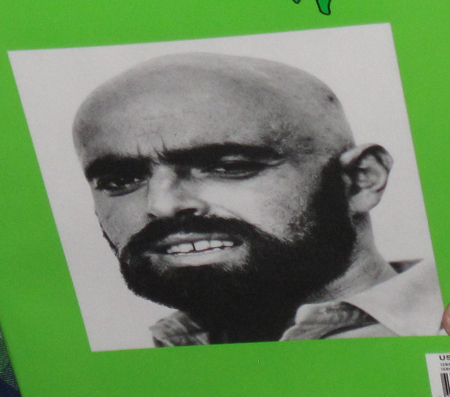 Who took the terrifying photograph of Shel Silverstein that the publisher decided should be on the back cover? Hard to say. One can probably assume that the photograph was taken by someone who marketed themselves as a professional photographer, in the same way that Ashlee Simpson markets herself as a professional singer. What is the reason behind enlarging a terrifying photograph of the author and putting it on the back of a children’s book? Publishers do many things that neither readers nor authors quite understand. In this instance, the publisher decided that children might like to see that the man who wrote the book 40 years ago was somewhat intimidating and had chipped teeth. This could serve as inspiration to children that they too could one day scare children and write books for them.